Cordell & Cordell is a nationwide domestic litigation firm focused on men’s divorce and all other family law practice areas. Originally a general practice firm focusing its attention on domestic relations matters, Cordell & Cordell has evolved into a firm practicing exclusively domestic relations law with an overwhelming emphasis on fathers’ rights. We unapologetically hold ourselves as a firm devoted to men’s interests. 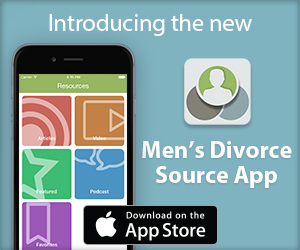 This website we sponsor, DadsDivorce.com, is the most comprehensive site on the web for information relating to dads and custody. Men come to Cordell & Cordell because they want to feel that their interests and the interests of their children are aggressively championed. Too often lawyers and even judges have resigned themselves to stereotypes and a perpetuation of the status quo. Naturally, no law firm can completely rectify these deep-seated and multifarious injustices. We do not promise our clients transcendent justice. All we can promise our clients is their best shot. At Cordell & Cordell, we have cultivated a reputation for challenging fallacious assumptions, for calling the court’s attention to inequalities, to advancing without equivocation bold arguments from which other attorneys might shrink. Sometimes it is necessary to insist on a hearing on the record when the result proposed by the court in chambers is contrary to the law as properly construed. While such positions occasionally cause conflict, they nonetheless engender respect and encourage more reasonable positions from the court as well as from the other side. In addition, Cordell & Cordell teaches its clients steps they can take to maximize their chances of receiving the greatest amount of time and participation in their children’s lives and minimizing any money they must give their wives – be it child support, maintenance or property. In a system seemingly predisposed against them, men can only hope to succeed by utilizing all the help available to them – legally and strategically. Cordell & Cordell has built its practice on helping men do just that. We are a partner men can count on®.